I left Maracaibo, near Venezuela's northern coast, early in the morning and set out with my hosts in the direction of the Colombian border. We were heading for an area near the Rio Limon, home to a branch of Venezuela's indigenous people: the Wayuu. My trip's destination was a primary school run by a Jesuit education organization called Fe y Alegría (faith and joy). The journey took about an hour and a half. The landscape slowly transitioned from dense forests into flat, white plains of sandy soil. We rolled past copses of hardy, dry trees and herds of skinny cows. After crossing the bridge over the wide, rolling river we quickly arrived at the school. It is a school for the children of the Wayuu community, composed of a few hundred students from grades one to six. It was a warm, spacious building of stone with many open spaces to let the sun in. It was teeming with activity as little children ran here and there. The boys had blue, collared shirts. 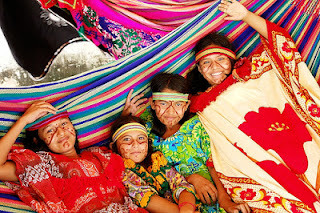 But the girls were all dressed in uniforms that blended the traditional style of the Wayuu with contemporary material. The whole school was a delightful display of art and colour. There were a lot of paintings on the walls depicting traditional scenes. I was informed that the Wayuu language was alive and well in the township, with most children speaking both their native tongue and Spanish. The school encouraged this in many ways. 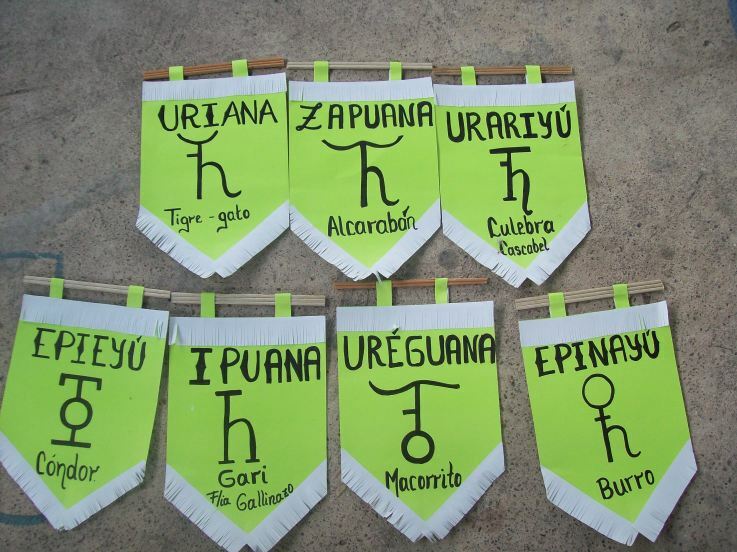 For instance, each grade and class, rather than being assigned numbers and letters, was assigned a Wayuu pictographs. So instead of being in grade 4, class B you might be in grade Tiger, class Mountain. This made the symbols on each uniform an expression of classroom solidarity and made the signage in the school way more artistic and interesting. One of the reasons the school is so enthusiastic about language is that the Jesuits place a high priority on the preservation of indigenous cultures. The rich and beautiful way of life of the Wayuu is a treasure in its own right. But additionally, each unique perspective that develops upon the earth is a unique window through which to view the creator. The Wayuu, for example, have always believed in a father-protector who cares for his people in times of trouble. Many Wayuu now understand this great father to be the same God found in Christianity. The mission of the school has been to help the Wayuu to preserve and live out their culture's individuality. However, it is important to note that the idea of the school was not imposed from the outside. Most of the teachers I met were Wayuu themselves and there was a high level of cooperation between the local Fe y Alegría workers and other groups across the country. I honestly couldn't tell who was an outsider and who was a local. I believe the great collegiality of the place is something that comes about naturally when everybody teams up to create something for the good of the children in a place. The children are what it's all about. They were shy of me at first. But they were a lot like the children at any primary school. I got them to talking about their favourite classes and explaining what the symbols on their clothes meant. I greatly enjoyed meeting a group of students who, as an extracurricular activity, learned and performed traditional Wayuu dances. It was explained to me that the dance represents the courtship of the Wayuu. They are somewhat matriarchal, so when a couple marries, the man enters into the family of his bride and he identifies his clan by his mother-in-law. The dancers represent the family taking him in. My visit ended with a delicious lunch of goat and rice. As a parting gift, I was given a clay jar: the very same kind as I had seen depicted in the painting earlier. It was made by a student, coloured with sacred symbols. It will remind me of the school, of the great green river, and of the unique ways in which the Spirit communicates itself to all people. The Spirit is like myriad streams of life-giving water: each stream is unique, yet all are from the same source.